This is because your business listing is already claimed. You may have claimed it in the past. 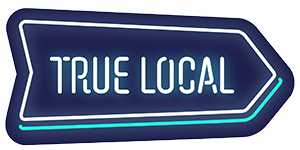 Try to login into True Local. If you can't login, try to reset your password by clicking on 'Forgot your password' in the login window. Once logged-in, hover over your profile photo on top right. Select "Business Centre", and you should see your listing there. If that doesn't work, or if you don't remember claiming the listing,contact us.